Imelda has written the introduction to our collection of ‘lost’ nineteenth- and early twentieth-century Australian Christmas stories that have not been previously published beyond their original serialisation in newspapers. We are delighted with the gorgeous cover from the talented team at Giraffe, using a perfect image by photographer Jane Worner at Austockphoto. The book is available for pre-order in our online store. Christmas in fiction – a time when families reunite and love blossoms, when evil is overcome and tragedy is averted. Cruelty and revenge are offset by heroism and forgiveness, and constancy in love is rewarded. But in Australia Christmas stories are also marked by fire and flood, cyclone and drought, and the perils of isolation. Cattle drovers find themselves stuck in a gumtree, a sheep stealer’s son is lost in the bush, and love’s ‘cooee’ is heard as far away as London. All the drama of nature and humanity is vividly recounted in this collection of nineteenth-century Australian Christmas stories. Christmas Eve in a Gum Tree is the second title in Obiter’s ‘To Be Continued’ series. It collects previously unpublished stories unearthed in an Australian Research Council funded project that has produced a bibliographic index and full-text archive of fiction in Australian newspapers from 1803 to 1955. The stories are contextualised in an introduction by Professor Imelda Whelehan, a scholar of women’s writing, feminism, popular culture and literary adaptations and the current Dean of Higher Research at the Australian National University. 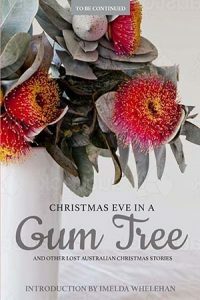 Christmas Eve in a Gum Tree and Other Lost Australian Christmas Stories will be published next month. Further info soon! You can purchase the first title in the ‘To Be Continued…’ series, How I Pawned My Opals and Other Lost Stories by Catherine Martin, from the shop section of our website.